Welcome to the War Memorial Village Derby. Completed in 1955 the village was described on its Foundation Stone as "A model village for the disabled" and to this day operates in the same manner as it was originally intended those many years ago. An enclave of high grade affordable housing comprising 1 and 2 bed bungalows and 2 storey family homes and nine high specification bungalows available for the more severely disabled. The War Memorial Village Derby construction was started in 1949. It is a charity which operates specifically to serve the accommodation requirements of disabled veterans of the Armed Services and Emergency Services. There are only 2 such villages in the UK. Applying to live in the War Memorial Village Derby is managed by Derby Homes and a points system is in place to assess applications. The process is explained in more detail on the "How to apply" page. The charity has big plans and needs your support. 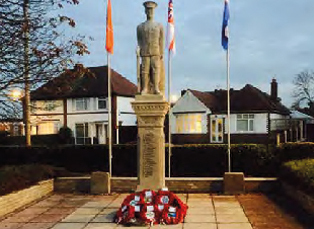 The War Memorial Village Derby is now 70 years old. 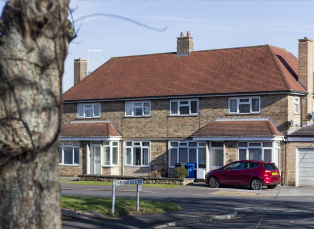 The Trustees have agreed to form a twenty-year plan to rejuvenate the housing stock starting with the immediate replacement of a block of 4 flats and 2 bungalows with nine brand-new 1 bed bungalows. As part of this process three new village signs have been commissioned. The Trustees have commissioned a masterplan to address the village as a whole and, as plans progress, more information will be available on this website. Additionally, two more communal gardens are planned with the charity committed to maintaining them. These big plans require investment. To support the War Memorial Village Derby and disabled veterans of the armed services, make a donation, or get involved through corporate sponsorship, so that the village can enter its next phase.